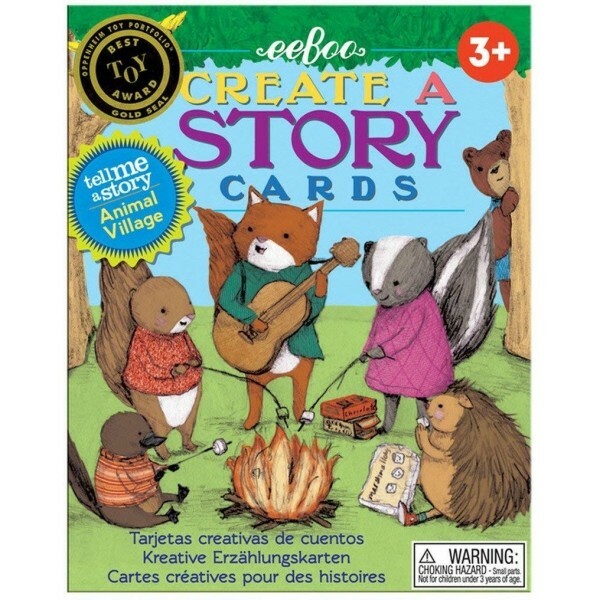 Tell Me A Story - Animal Village is a set of cards designed to be an imaginative pre-reading activity for young children and adults. 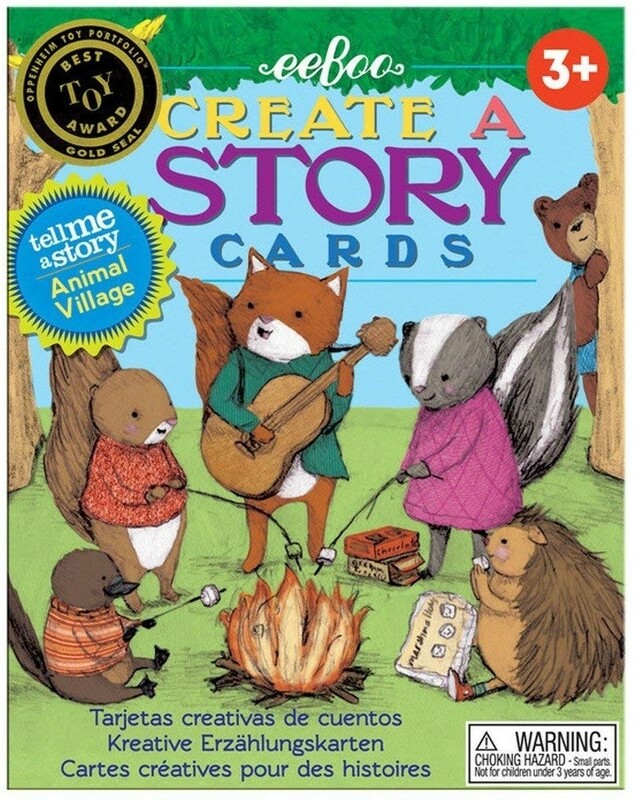 Each collection features beautifully illustrated and intriguing images providing the components for children to make up their own stories, or help in creating stories. Perfect for travel, waiting, bedtime and even dinnertime. 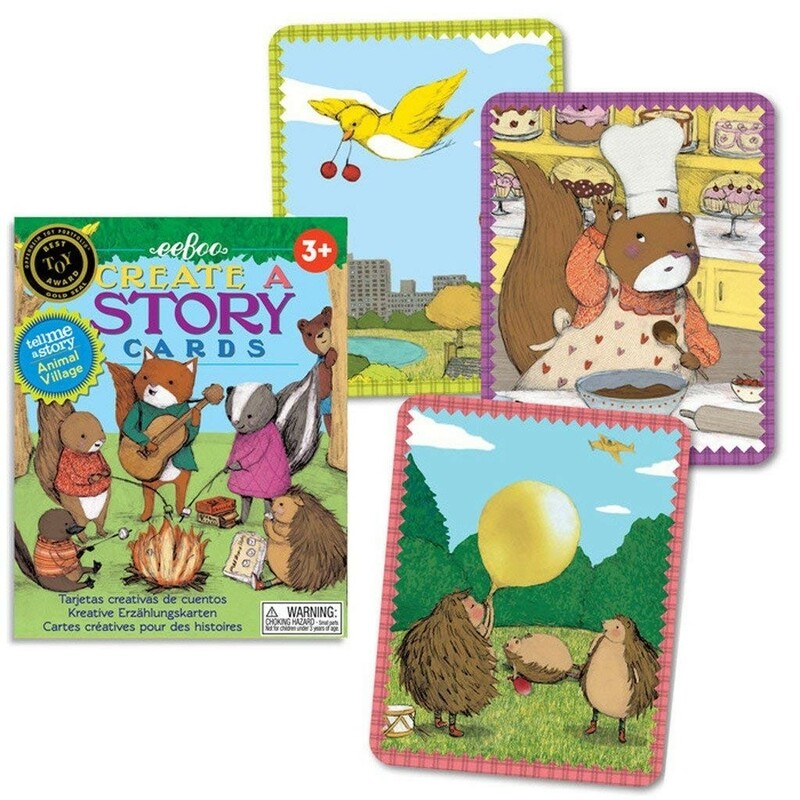 This set includes 36 different images on 3”x4” cards and instructions for a variety of games and activities. It comes in a sturdy sliding tray box for storage and travel. For more toys and games that encourage storytelling and promote literacy, visit our Reading & Literacy toy section.